Penne, spaghetti, farfalle, fusilli, rigatoni are just some of the hundreds of different pasta shapes, all designed to delight our palates and all with a unique story! 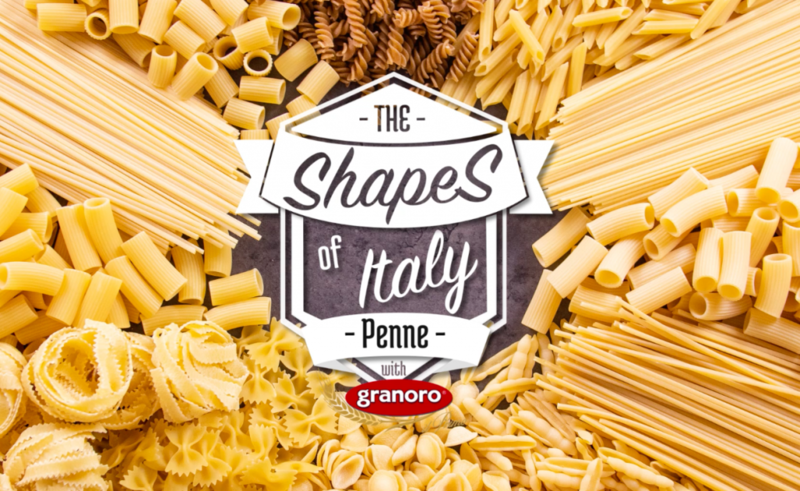 The Shapes of Italy, the mini web series created by I Love Italian Food and supported by Granoro to tell, in all its forms, pasta that has always been most loved and known Italian dish in the world. 12 unmissable stories for 12 traditional kinds of pasta narrated by international influencers cooking experts, examples of Italian and foreign people who, every day, show their love for the Made in Italy respecting the products, pasta in the first place. We are waiting for you every Thursday on I Love Italian Food facebook page with The Shapes of Italy: a unique event to take a dip in the world of dry pasta. Angelina in cucina, Die Jungs Kochen und Backen, Domenica Cooks, Flavoured with Love, Giacinta Trivero, Inaisst, La cucina di casa, Leslie en cuisine, Madame cuisine, Mondomulia, Sisters and Spice. Today PENNEEveryone love pasta, but few know there are more than 300 shapes of pasta each of them designed for a reason!